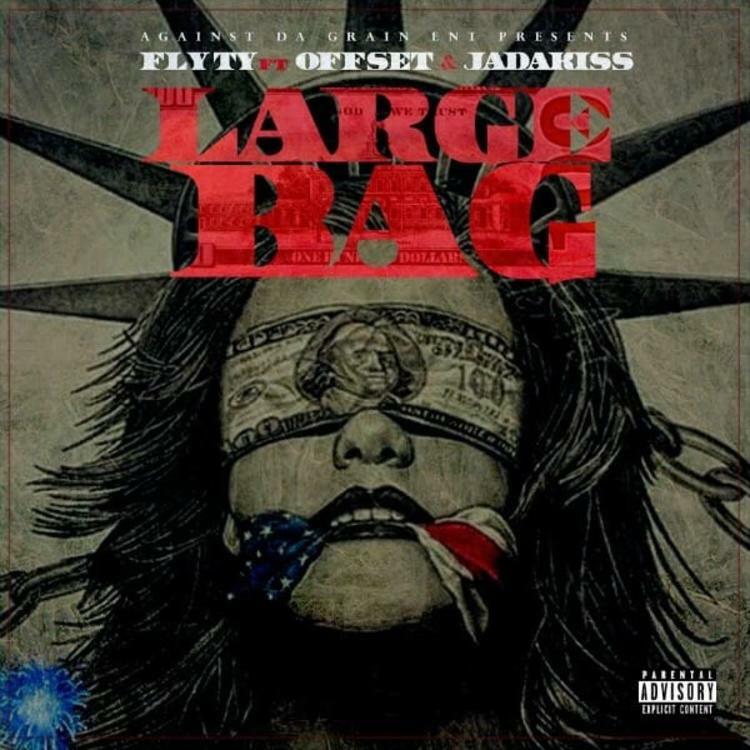 Fly Ty links with Offset and Jadakiss for a hard-hitting new club record: "Large Bag." Fly Ty, whose name rings loudly in both Atlanta and New York, has grabbed an elite emcee from each city to guest on his new single: "Large Bag." Who'd have ever expected to hear Offset of the Migos on a record with Jadakiss of The LOX? It turns out to be a nice pairing, as both rappers -- despite their varying ages -- are among the cream of the crop when it comes to street-focused lyricists. "Large Bag" is produced by Mark Murille. Fly Ty, who doubles as a music producer on the hit show "Empire," is currently planning his next project, My Life, Your Entertainment, on which "Large Bag" will appear. The track will also be included on the Digital Trapstars' upcoming 4th Quarter Press mixtape. By the looks of things, the Migos will, one day, go down in rap history alongside The LOX as being one of the genre's all-time great trios. The D-Block veterans recently released Filthy America... It's Beautiful, their first album in 16 years, while the Migos have been teasing their much-anticipated sophomore album, CULTURE.